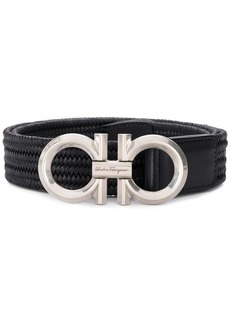 The iconic 'Gancio' motif is an eternal symbol of Salvatore Ferragamo's rich heritage and their dedication to timeless design and luxurious craftsmanship. 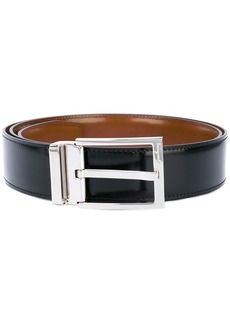 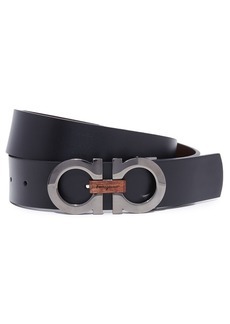 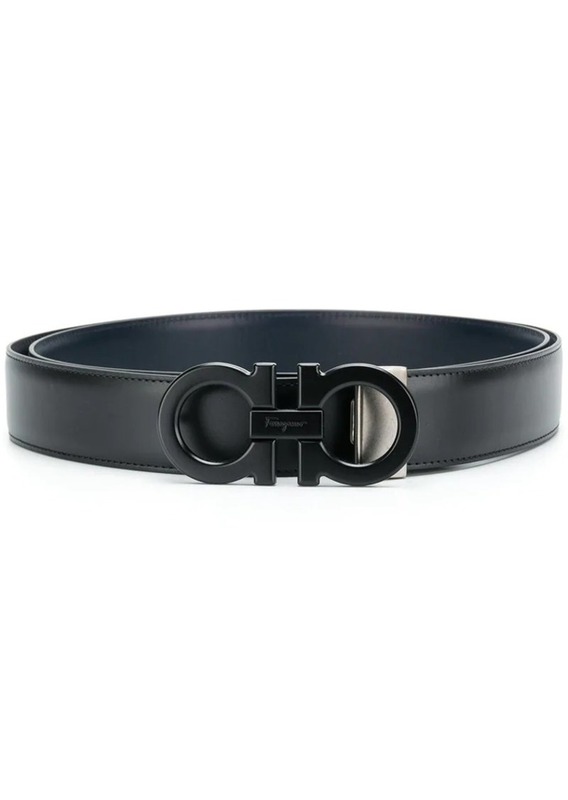 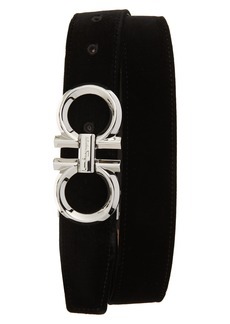 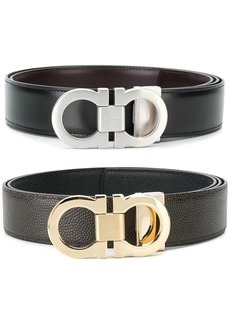 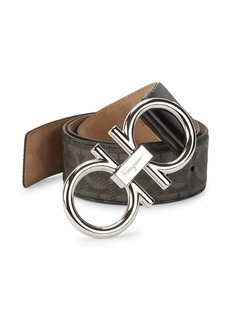 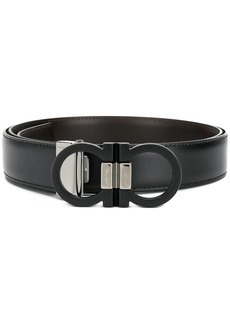 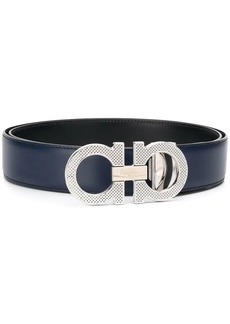 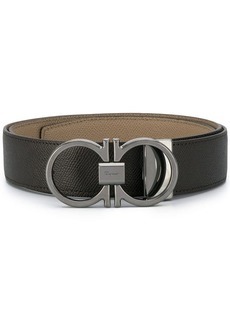 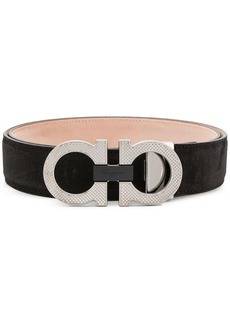 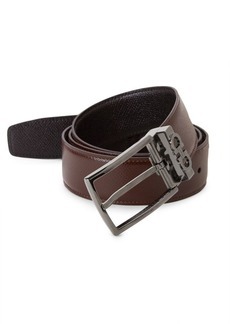 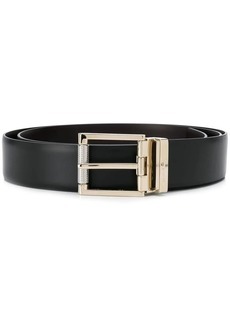 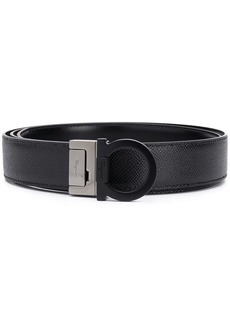 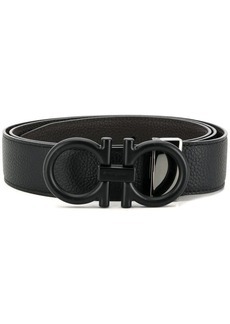 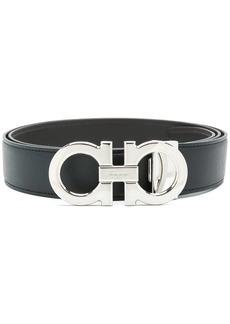 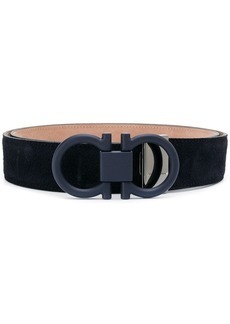 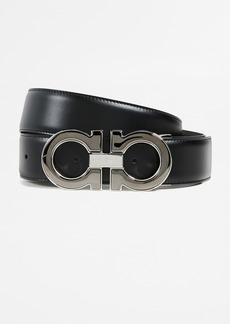 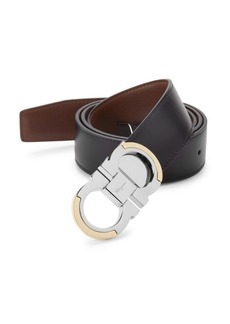 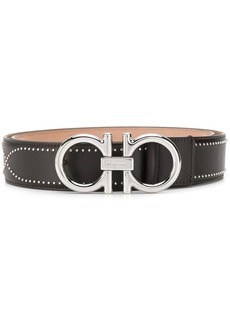 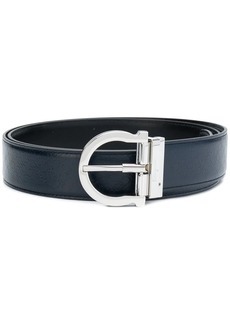 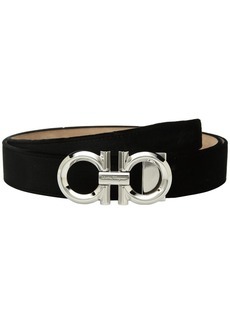 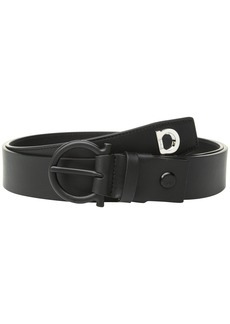 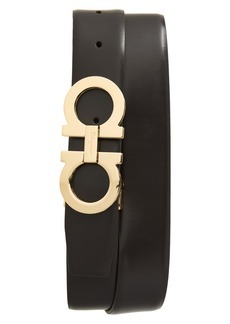 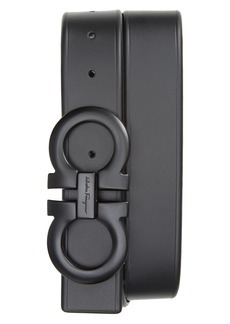 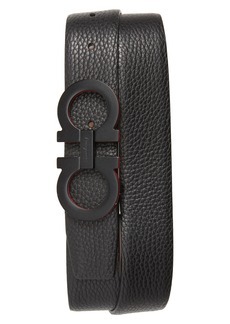 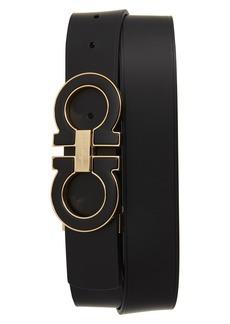 An updated version of the label's hallmark, the double Gancio buckle is seen punctuated at the centre of this classic belt in a sleek black-toned metal. 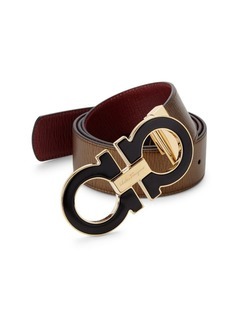 The ideal way to infuse Ferragamo's opulence into your daily style, this accessory has been crafted in Italy from supple black calf leather. 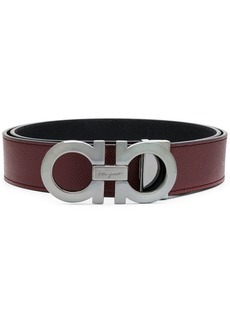 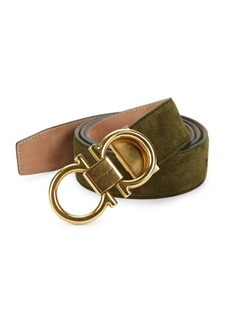 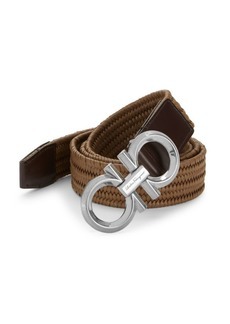 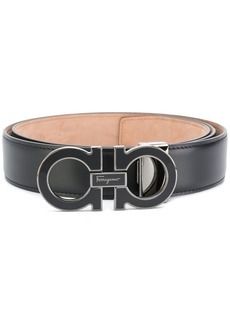 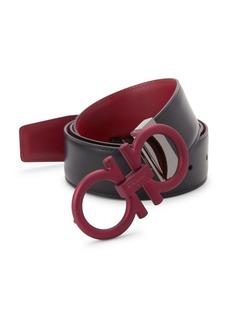 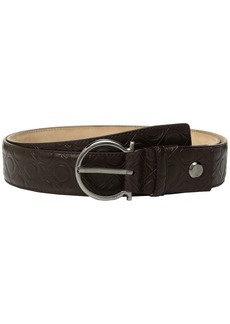 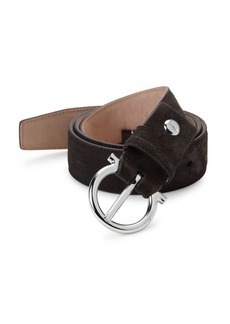 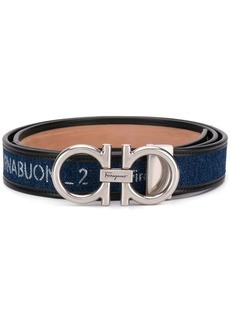 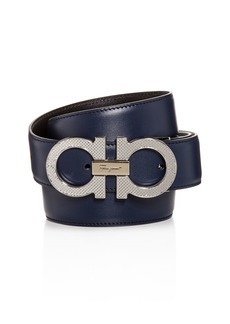 It also features an adjustable fit, punch-hole detailing and a Salvatore Ferragamo logo engraved at the front.